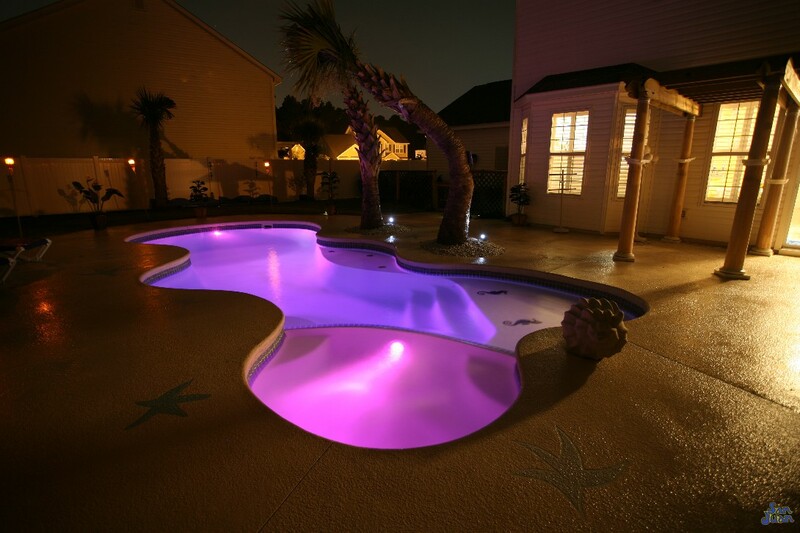 The Isle Spa is a classic and comfortable fiberglass spa that pairs perfectly with any of our fiberglass swimming pools. 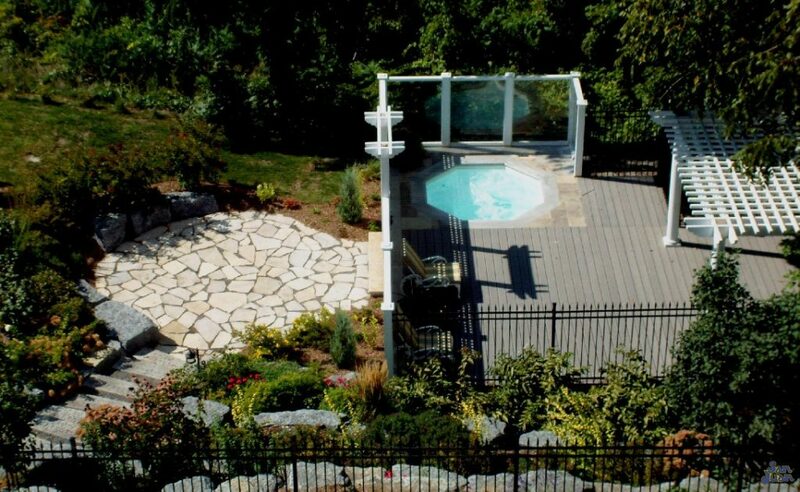 This ageless spa provides enough space for 6-8 bathers and has a wide wrap around bench for user comfort! 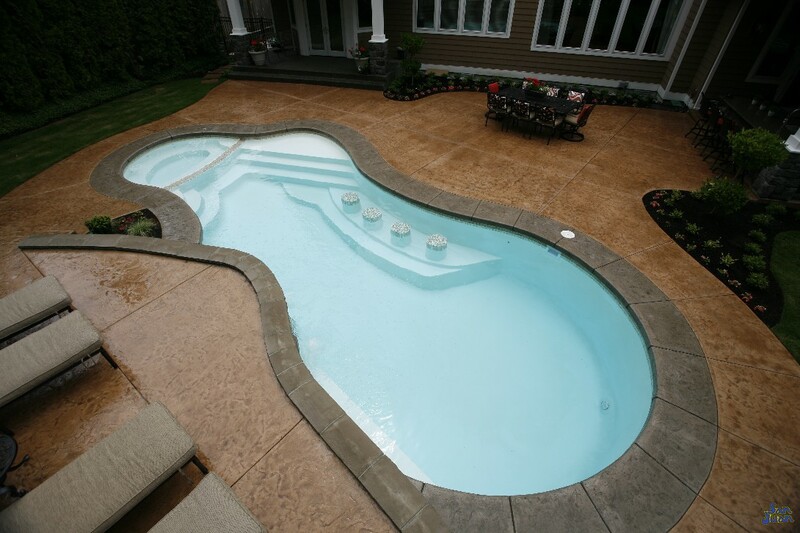 Beautiful Fiberglass Spa – Sound Construction Techniques! 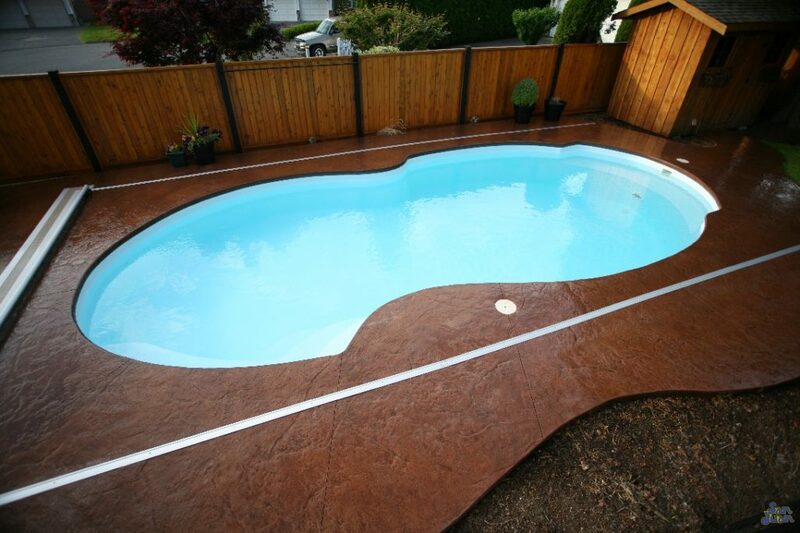 As we are writing this, it is early March and the weather is still cold enough to enjoy a warm fiberglass spa. 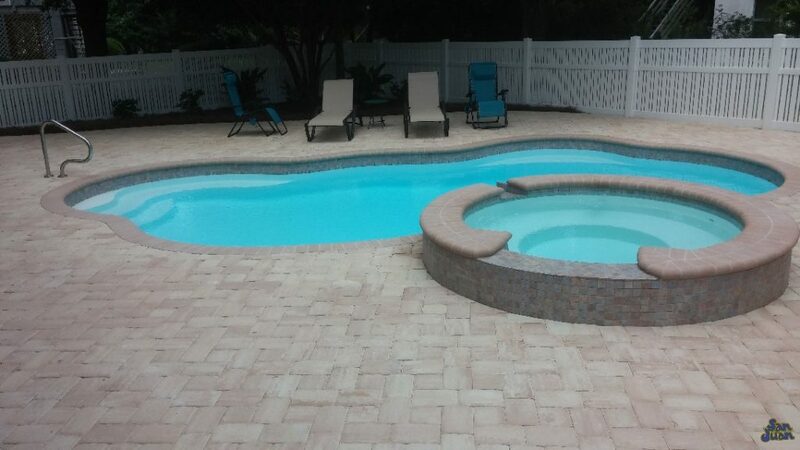 Turn up the heat and sink into the warm waters of this classic round design. You’ll immediately feel relaxed in its wide 8′ basin and enjoy the wide wrap around bench. 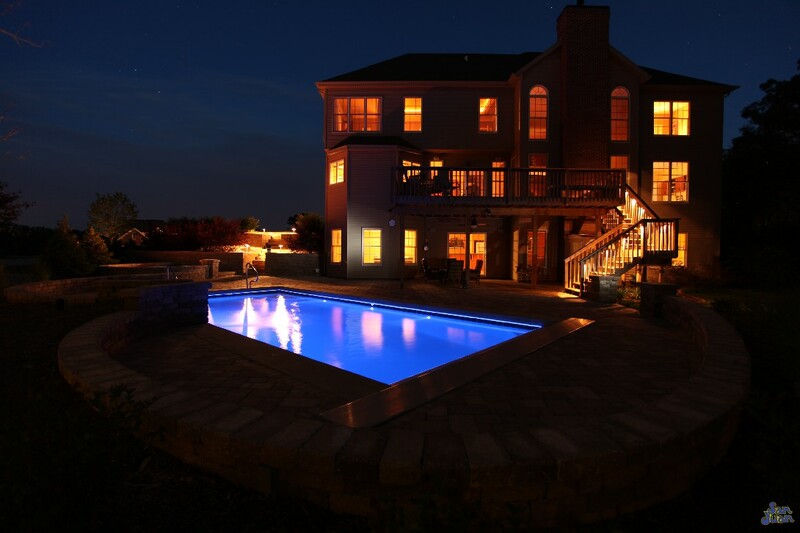 Guest and family alike will love spending time in your great outdoors and compliment you on the evening they’ve shared together! 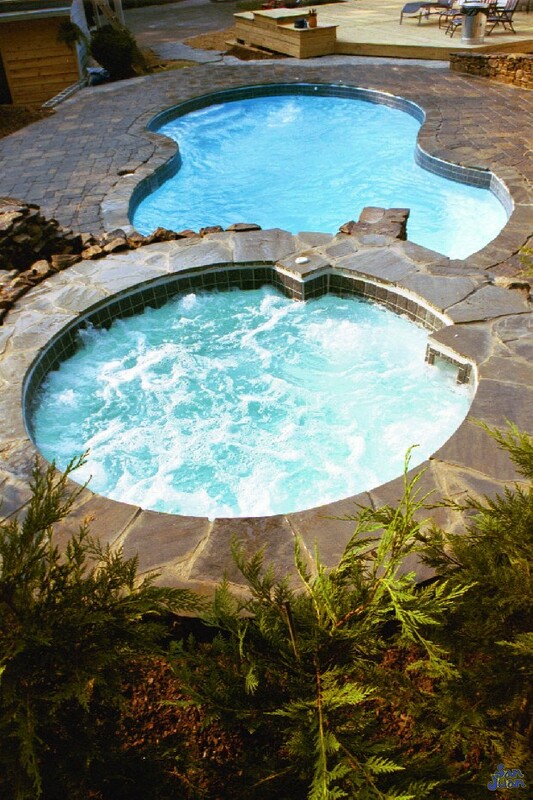 Regardless of the time of year – whether it’s hot or cold – people love soothing their muscles in spas. 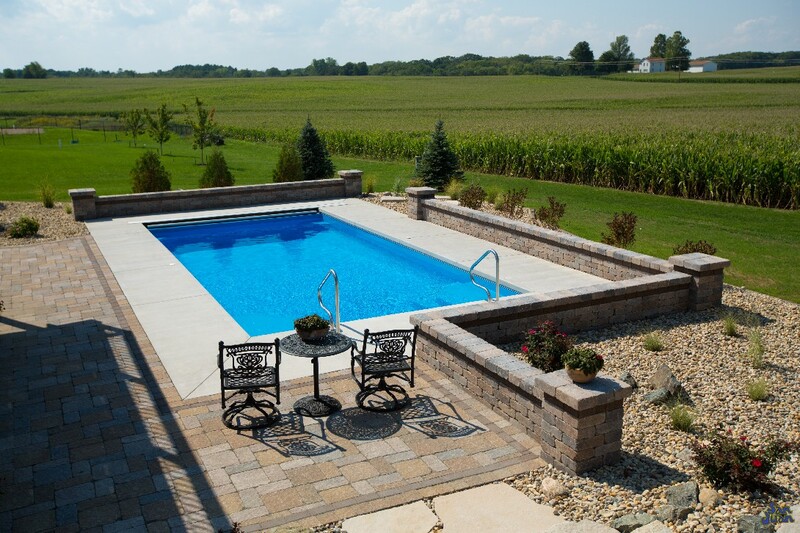 It’s the perfect way to relax and the ideal choice to compliment any fiberglass pool. 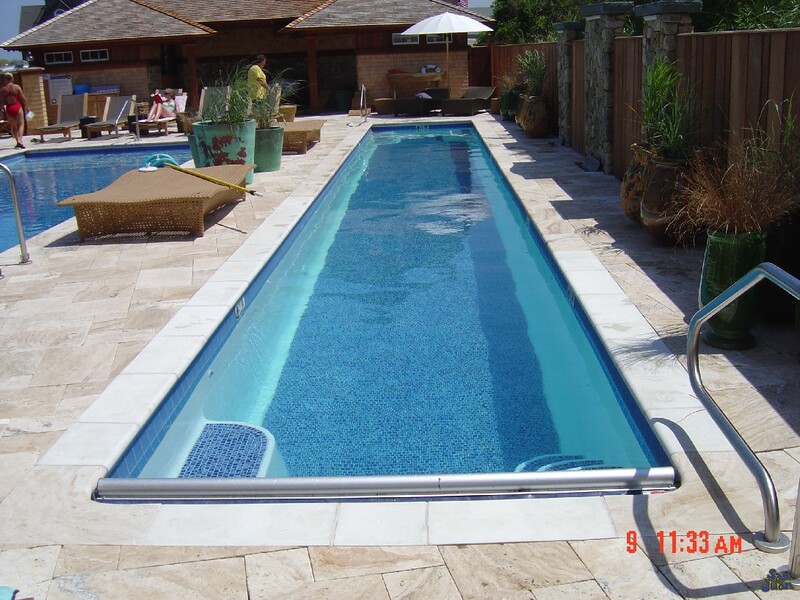 We make shopping a breeze and believe that the quality of our fiberglass spa shells greatly outlasts the competition. Our shells are fabricated using 100% Vinyl Esther Resin. 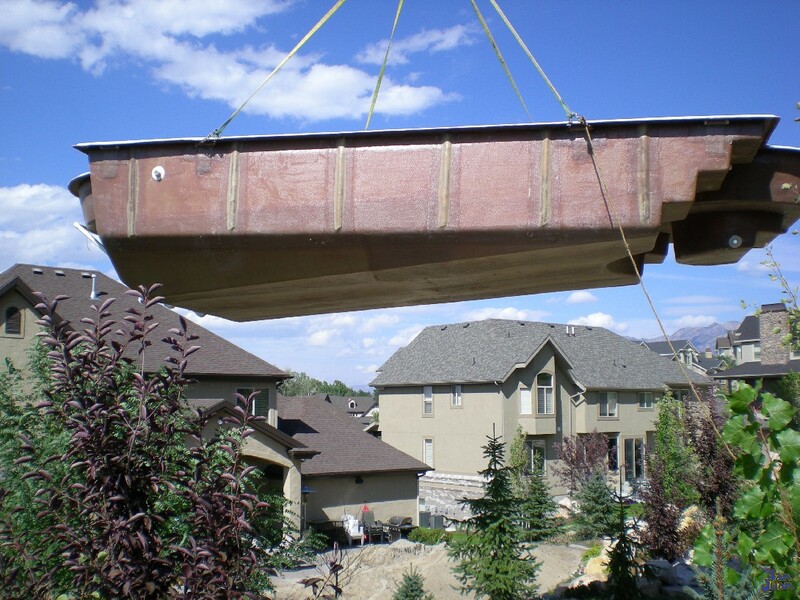 This material is superior to any fiberglass products on the market. 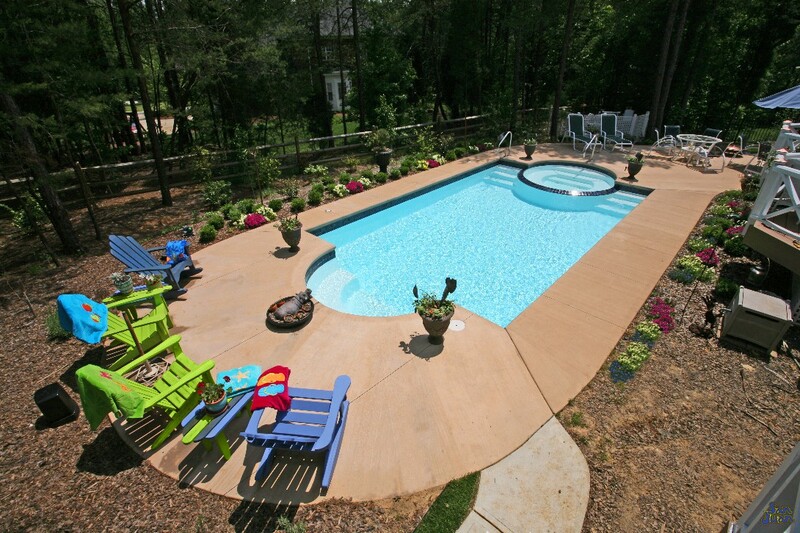 It also provides up to 17-times the flexural strength of any gunite (concrete) swimming pool. 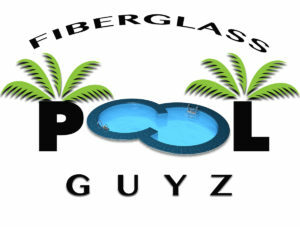 Therefore, when you shop with Fiberglass Pool Guyz, you’re not just purchasing a fiberglass pool or spa. 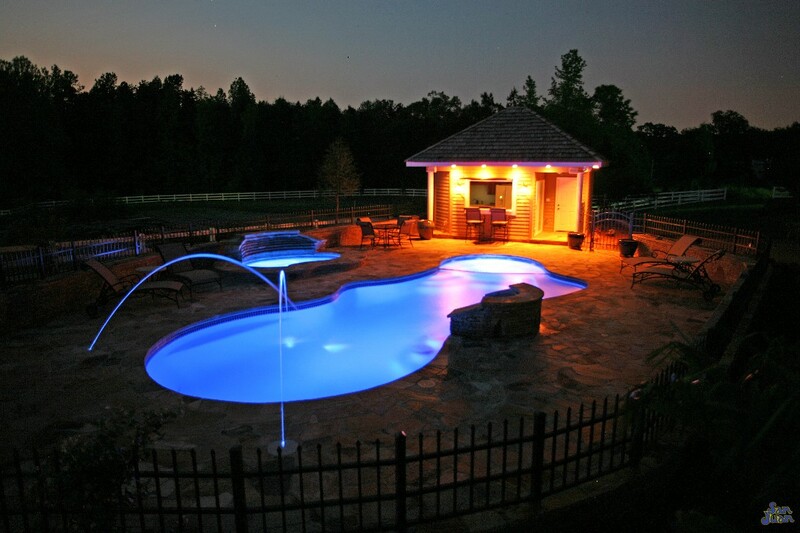 You’ll actually investing in a beautiful swimming pool that is designed to last for years to come. 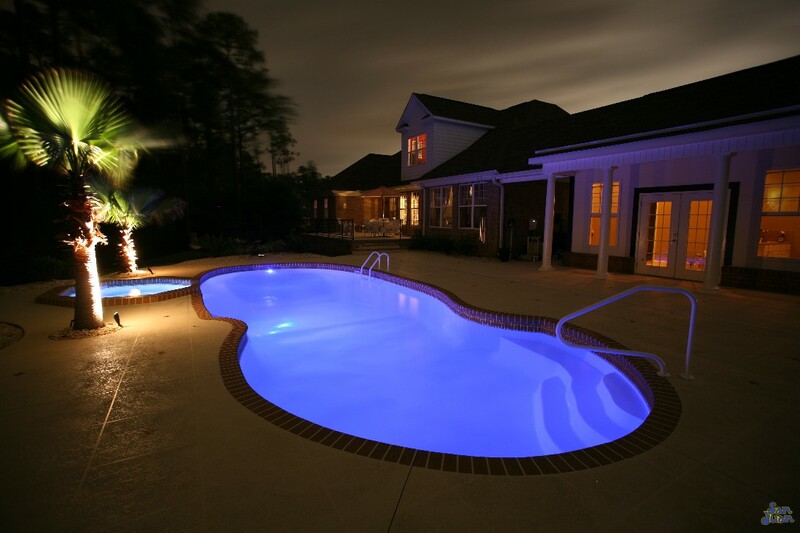 In fact, all of our fiberglass pools and spas ship with a 25-year structural, manufacturer limited warranty. 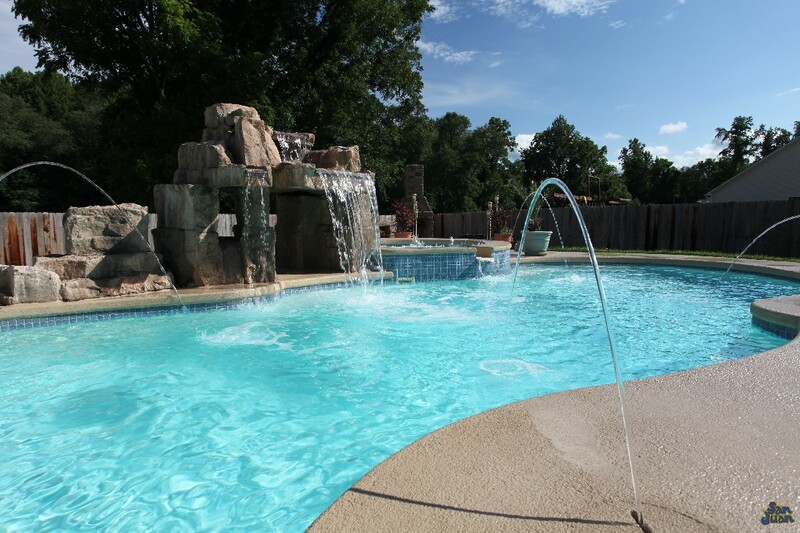 The Isle Spa is no exception to our high-quality construction process. 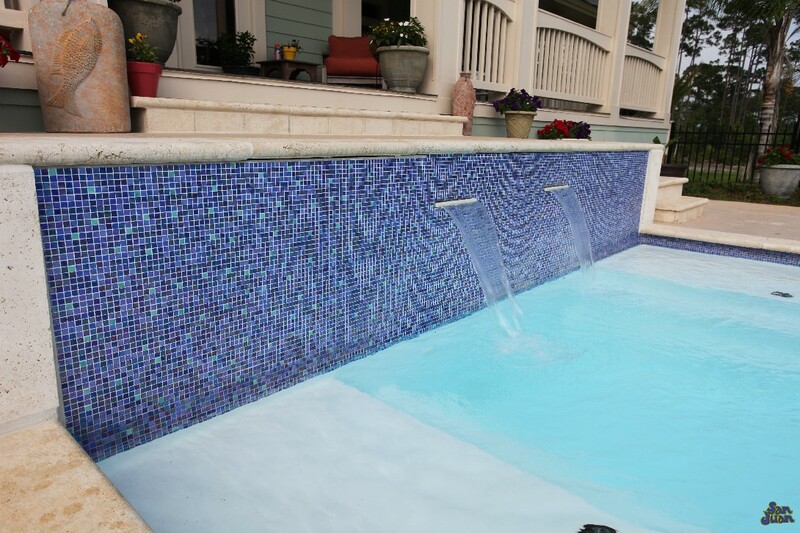 This stunning fiberglass spa provides a wide basin that comfortably fits 6-8 bathers at a time. 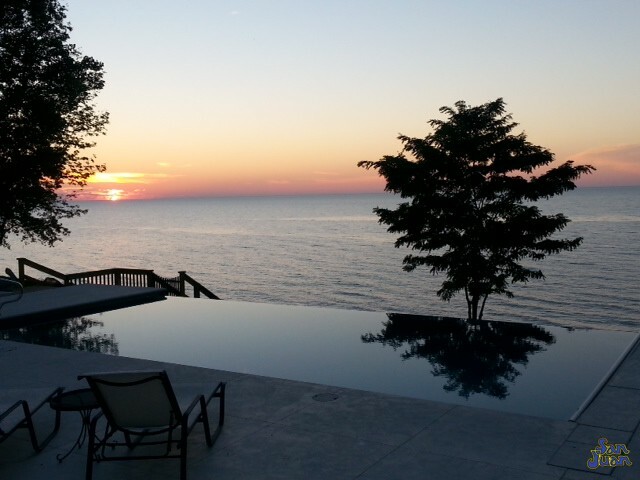 The Isle Spa also includes a wide bench seat that wraps around the entire fiberglass structure. 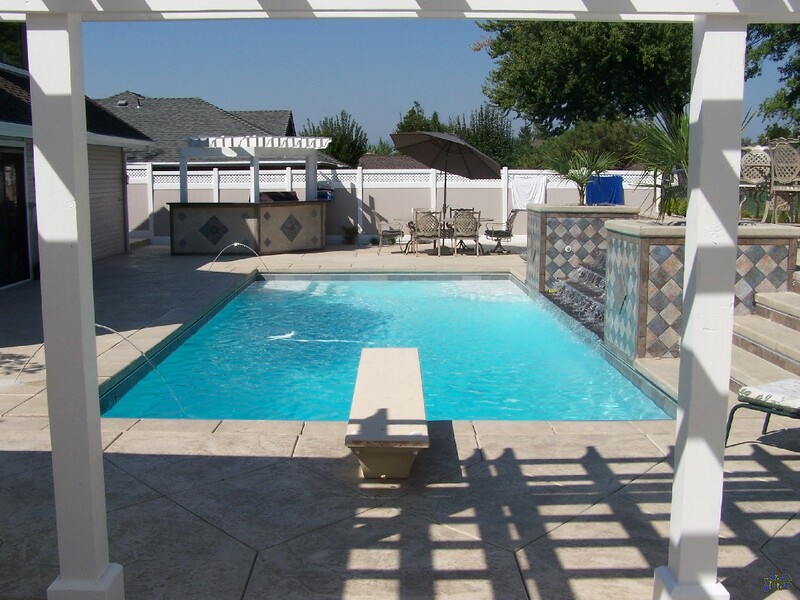 Your guest will notice the comfort of the Isle Spa and surely compliment on the enjoyable evening they shared in your backyard. 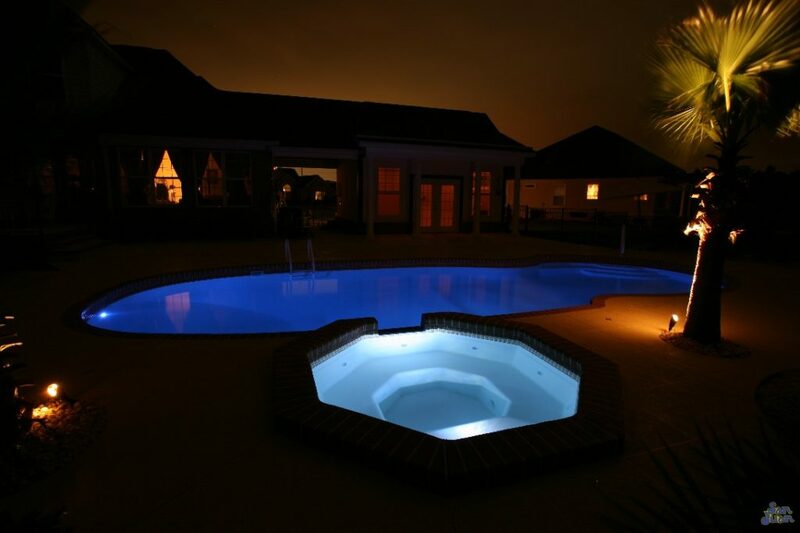 In addition, you’ll also appreciate the quiet moments at home when you get to sneak outside for some quality relaxation. 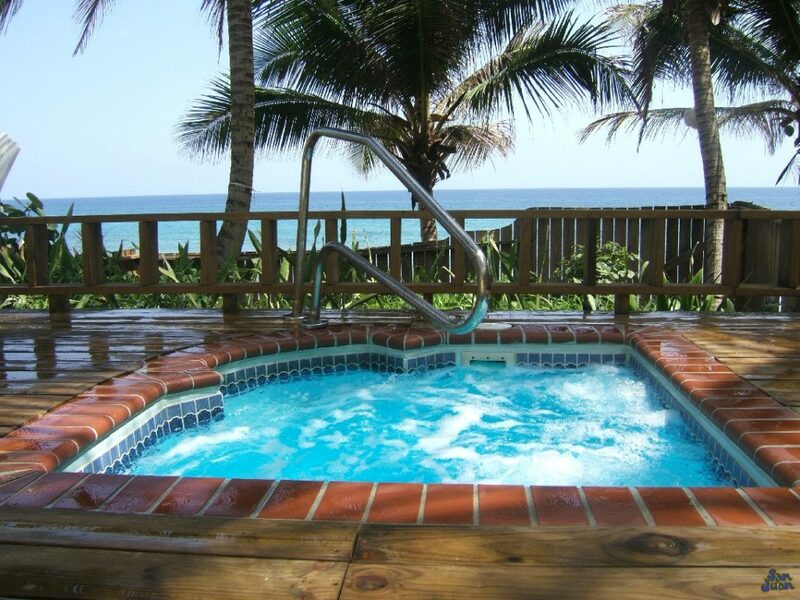 The Isle Spa is an inviting oasis that allows you to relax and forego the stresses of daily life. It’s designed to provide a warm oasis to sooth your sore and tired muscles and help you become a healthier you. Just how big is the Isle Spa? 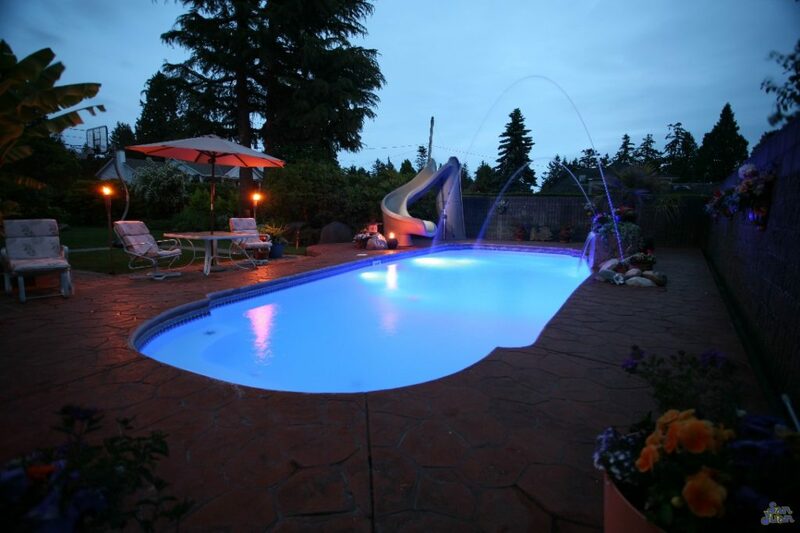 In short, the Isle Spa has a round design that is both 8′ wide and 8′ long. 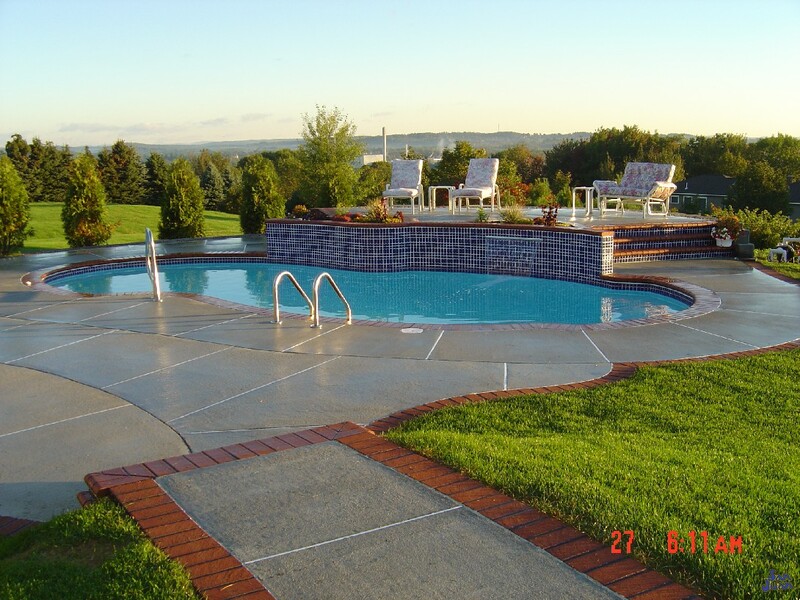 It’s overall surface area is 39 SQFT and has a maximum depth of 3′. 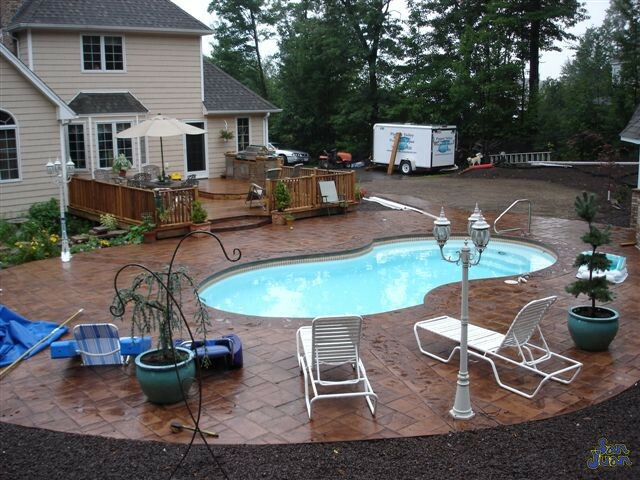 In short, the Isle Spa can hold up to 500 gallons – which is typical of any gunite (concrete) spa. 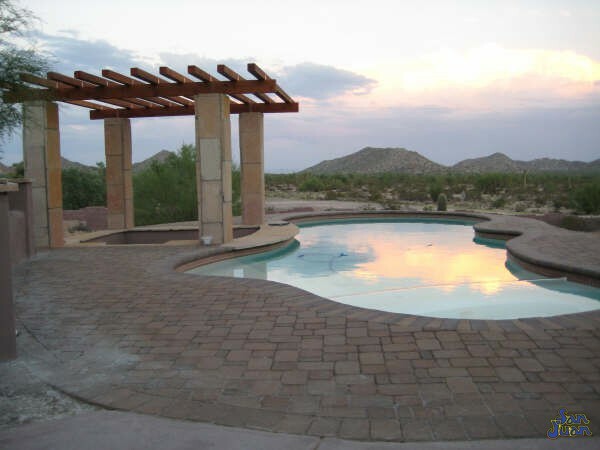 Therefore, rather than investing in an expensive gunite spa, you can instead purchase our Isle Spa for your outdoor living space. 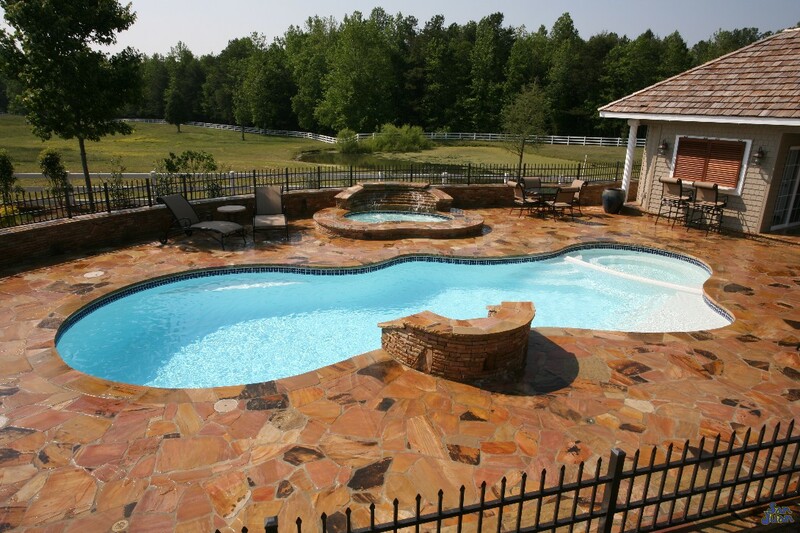 You’ll surely appreciate the warranty that our product provides as well as the simplicity of installation and price. 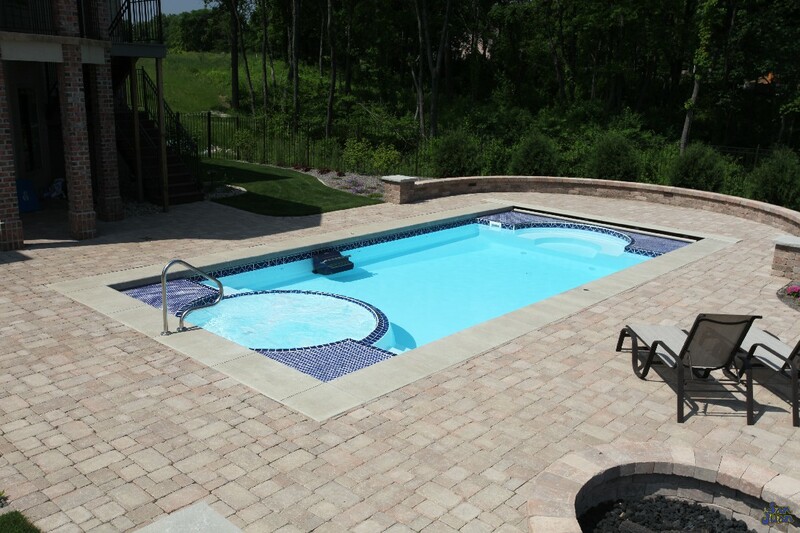 All in all, we’ve designed the Isle Spa to be the perfect addition to any swimming pool (whether it be fiberglass or gunite). 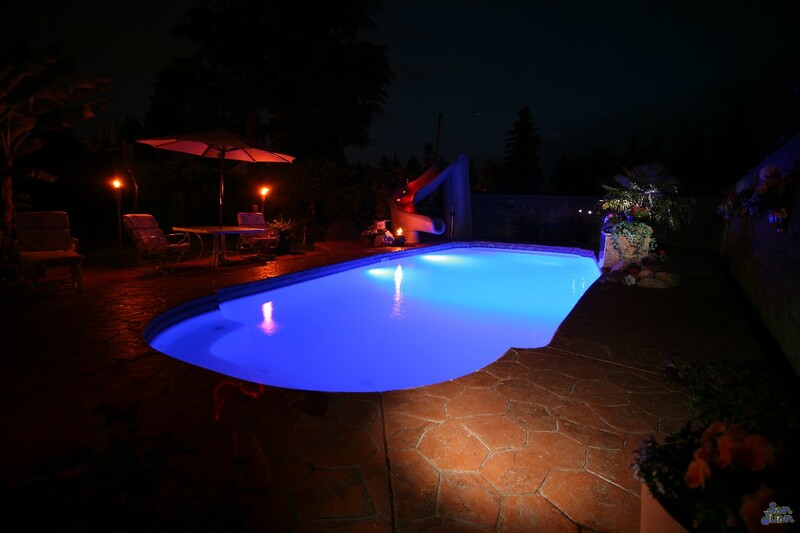 Essentially, we believe that all people should enjoy the benefits of this beautiful spa. 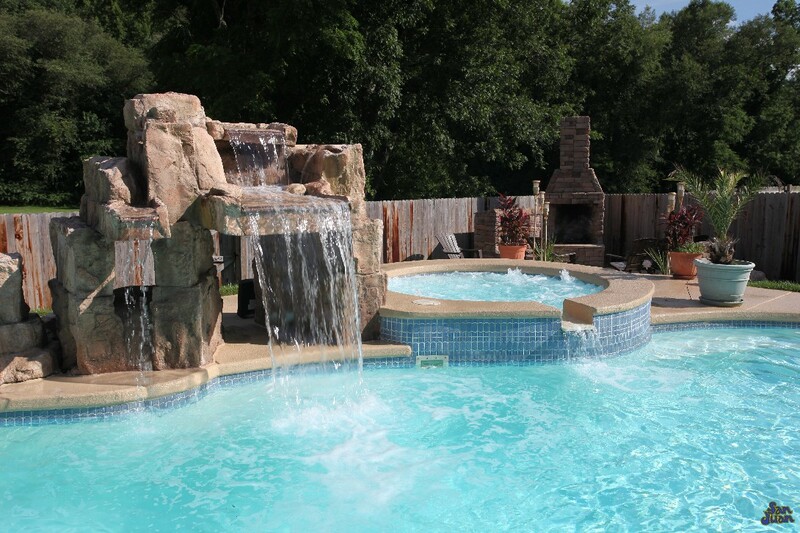 Lastly, the Isle Spa provides a convenient way to enter and exit this soothing outdoor oasis. Built into the design is a set of entry steps that can also behave as a raised bench. 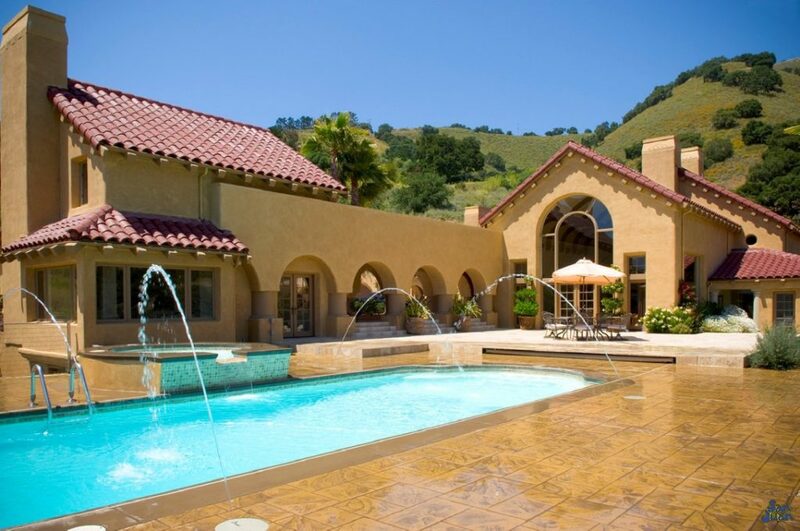 This is a great spa for younger swimmers to hang out (with adult supervision of course). 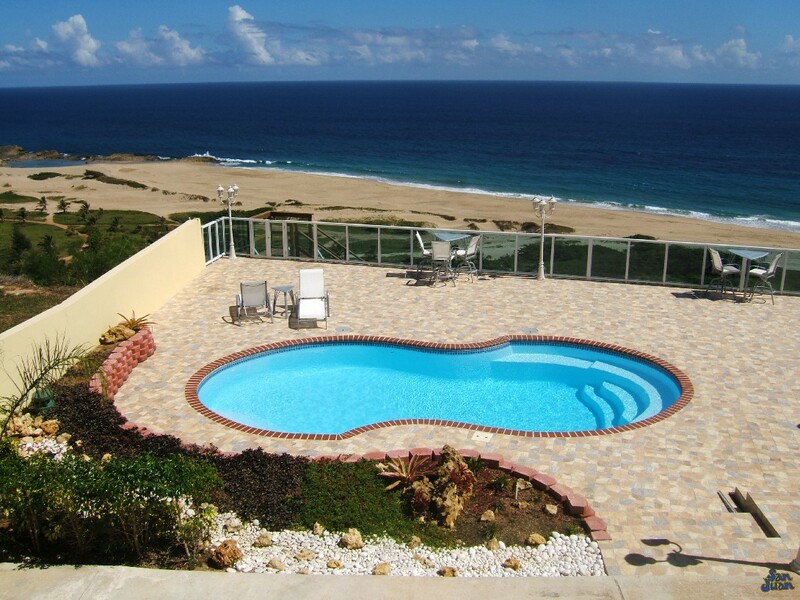 It would also be a good idea to install a handrail for both safety and aesthetics to compliment the Isle Spa. 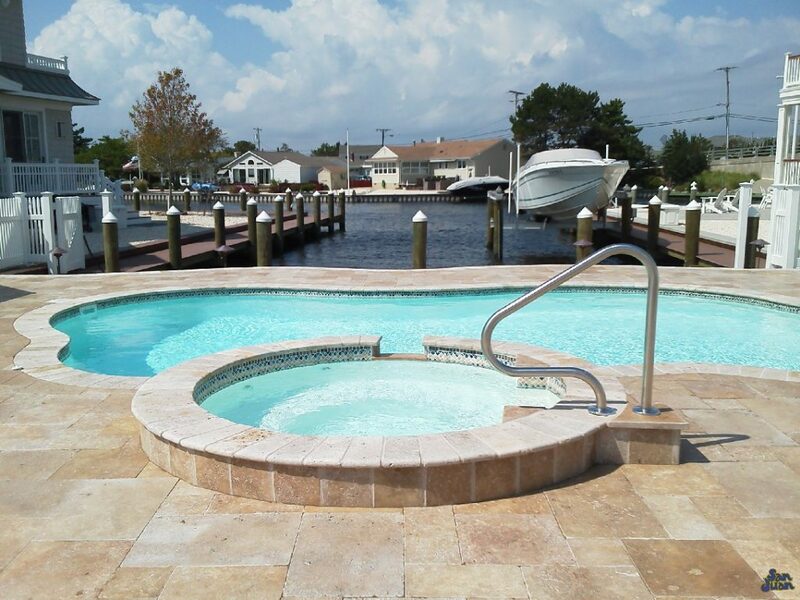 In conclusion, the Isle Spa is a fiberglass spa with a classic design and comfortable seating arrangement. 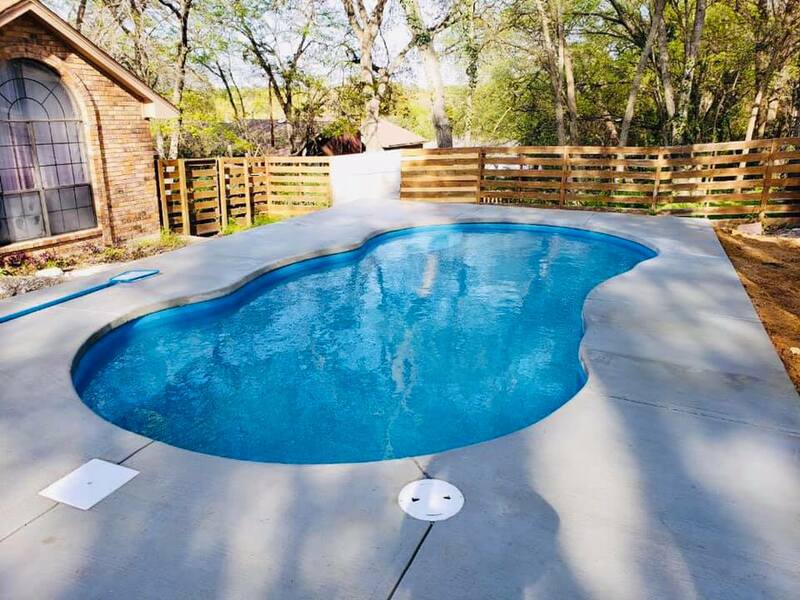 You’re sure to enjoy the wide bench seating that can hold up to 6-8 bathers. 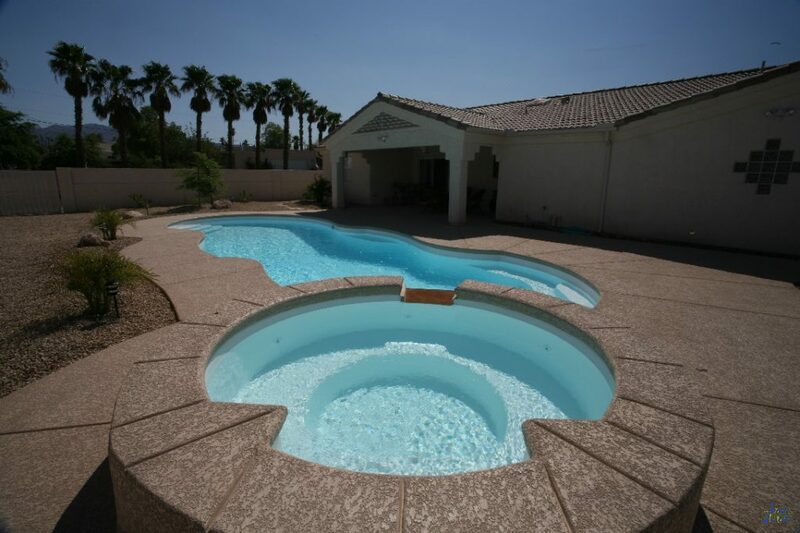 It’s the perfect addition to any of our fiberglass pool models! 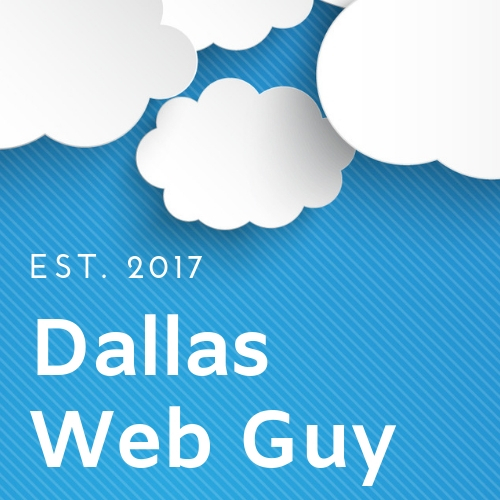 Lastly, if you’d like to receive some information from us or a free in-home consultation, just fill out our Contact Form! 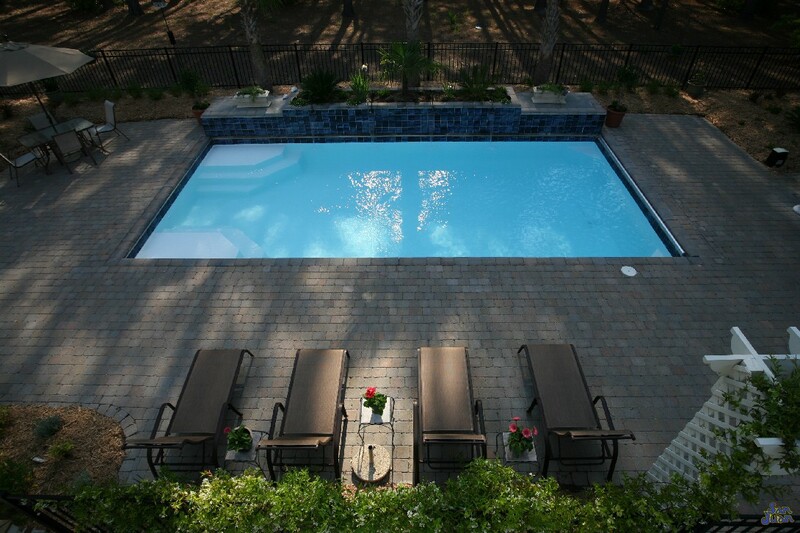 We’d love to meet you and help you take your first step towards pool ownership this year!